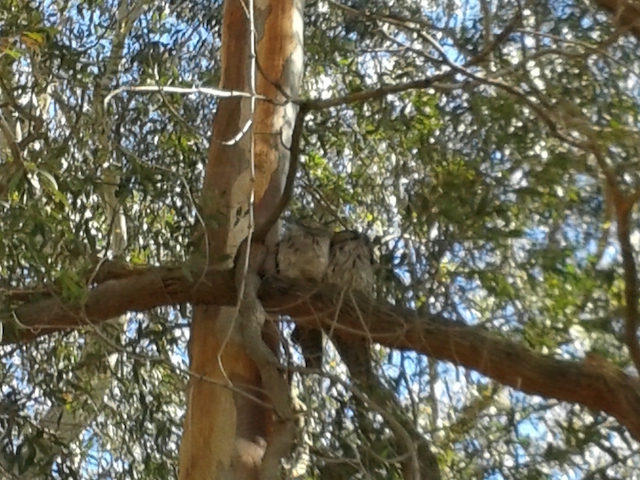 The last couple of days on my walk to the shops through a small urban park I’ve noticed a couple of Tawny Frogmouths. At least that’s what I think they are. However, yesterday on that same walk there was only one. I do hope the other one is all right. They are not usually flying around during the day as they are nocturnal. They do look like tawny frogmouths. The other one could be sitting on a nest somewhere nearby – it’s that time of year! Hope so but the previous days they were snuggling up together.